I am really enjoying the class, Twelve, at Big Picture Classes. We are only in the beginning stages of this 12 week/12 month class. We are setting up systems to be inspired and scrap. However, this past 3 days I found time to scrap. I have finished 4 layouts and 1 is in progress. I am really trying to fit scrapping into my schedule in little bits and pieces. One of the things that help me do this is that when I am finished with a layout, I immediately find the next photos I want to scrap and set them out. That way I do not have to face a “blank slate”. To me that is the hardest part…starting. Then when I have 5 minutes I can pick papers, another 5 minutes to find embellishment. Slowly it comes to gether. I would love to hear any tips that you have that help you fit scrapping in your busy schedule. P.S. 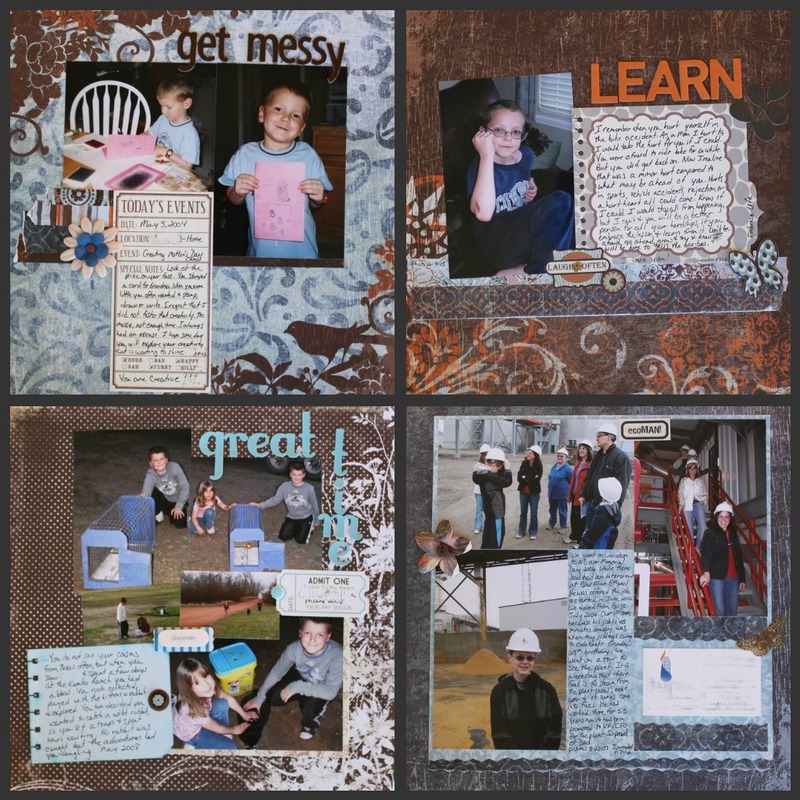 Your scrapping makes me want to forget about work and pull out my scrap materials! That was a blast. We just don’t get together enough now. I say, pull out your stuff and scrap a few minutes every night. Looking forward to a scrapping weekend…hopefully in Feb.